Get a quote for expat health insurance in Czech Rep.
Moving to Czech Rep? Get a moving quote. 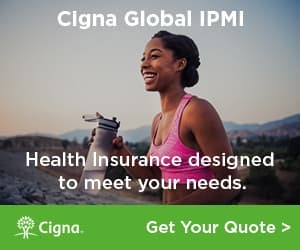 Mail Forwarding to Czech Rep.
Get a quote for expat health insurance in Czech Rep from our partner, Cigna Global Health. An American expat in Prague, Czech Republic shares his experiences living in Prague and also some advice on how to make a smooth transition. Expats in Prague offer advice to newcomers about living in Prague. Topics covered include international schools, best neighborhoods for expats, clubs for expats and more. Digital nomads are drawn to Prague for a wide variety of reasons: cost of living, nightlife, food and beer. This is a primer that will be continuously updated.